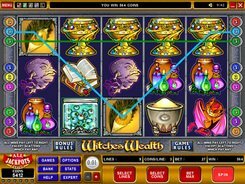 Witches Wealth is a black magic-themed slot from Microgaming with 5 reels and 9 paylines. All of the symbols used in the slot are related to magic and sorcery; these include an ugly witch face, a glass canister with eyes inside it, magic potions, an Alchemy book, and other themed icons. 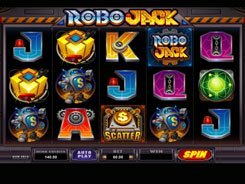 By adjusting the number of coins per line (1–20) and a coin value ($0.01–$1), you can place a bet anywhere between $0.01 to $180. Serena the Witch is a wild symbol that substitutes for other icons and awards a breathtaking win of x6000 times a line bet (or $120,000 on a maximum bet). 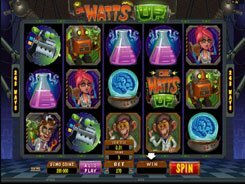 The slot comes without a free spins round, but offers two amazing bonus games. 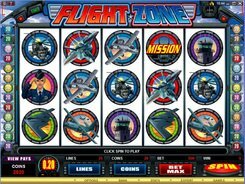 Three or four Cats landed on an active line unlock the Spinning Wand bonus where you can win up to $1600. Another feature called the Flying Rescue bonus is activated by hitting five Cat symbols. On the second screen, you are to dodge falling objects while flying on a broom, and rescue Mr Twinkles the Cat. The best prize you can earn in that feature is $16200.